Poster Signs are a trend not only for outdoor but indoor advertisement. It varies from different sizes which will perfectly cater to your desired visibility. These are also other uses of poster signs like trade show and conference displays, wall décor, educational tool, and art reproduction media. Don’t let your imagination limit you; there are a lot more ways to use poster signs. You get great photo quality on durable and fade-resistant prints because our poster signs are printed on either white 1/8” thick polyvinyl chloride boards (PVC) or on 20 mil. styrene. The boards are lightweight yet rigid and durable. The signs are available in standard and custom sizes. You can either upload your file or design through our free online design tool. 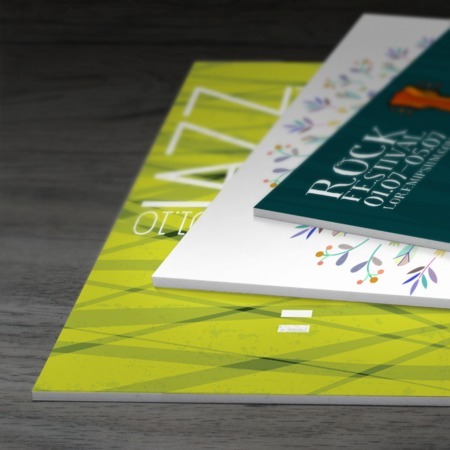 We also offer a free proofing to ensure your poster signs will be at its best when printed. Signs printed on white PVC boards can be printed as fast as 1 business day.